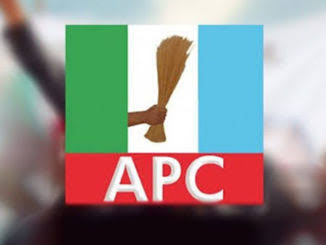 The attention of the leadership of the All Progressives Congress (APC), Kwara State chapter has been drawn to a piece circulating on social media alleging the ruling party and its leaders as planners and sponsors of an imminent mayhem in the state. While we considered it a tip for the law enforcement agents to work with, it behoves us as a responsible entity to sound warning to those seeking power at all costs to tread lightly, bearing in mind that only God gives power. The incumbent government had every opportunity to make life easier for the people since it rode on their mandate to office but she lost it when the people became secondary in its agenda. For a government that had everything, including the mandate of the people to fall out of favour, confidence and support from the people, and now resulting to violence to win it back is pathetic. The decline in the acceptability of this government day in, day out, it's a by product of a path it freely chosed and no one can salvage that condition now or later. The security agents are advised to unravel this evil plot of kiiting thugs with our vests (APC inscribed) with the aim of labeling our party as trouble makers. The sponsors are allegedly raking in whopping sum of money for the devilish and criminal act. The public is further encouraged that, the end has come for a party and government swimming in impunity. We are working daily to restore hope and dignity to our people.